inkjet originali BROTHER Ci sono 24 prodotti. 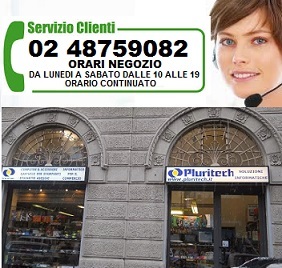 codice produttore: LC-980C. Descrizione: Colore: CIANO/ Capacità: 260 pagine / Compatibili con: Brother DCP-145C, Brother DCP-163C, Brother DCP-165C, Brother DCP-167C, Brother DCP-195C, Brother DCP-197C, Brother DCP-365CN, Brother DCP-375CW, Brother DCP-377CW, Brother MFC-250C, Brother MFC-255CW, Brother MFC-290C, Brother MFC-295CN, Brother MFC-297C . codice produttore: LC-980BK. Descrizione: Colore: NERO Capacità: 300 pagine / Compatibili con: Brother DCP-145C, Brother DCP-163C, Brother DCP-165C, Brother DCP-167C, Brother DCP-195C, Brother DCP-197C, Brother DCP-365CN, Brother DCP-375CW, Brother DCP-377CW, Brother MFC-250C, Brother MFC-255CW, Brother MFC-290C, Brother MFC-295CN, Brother MFC-297C .